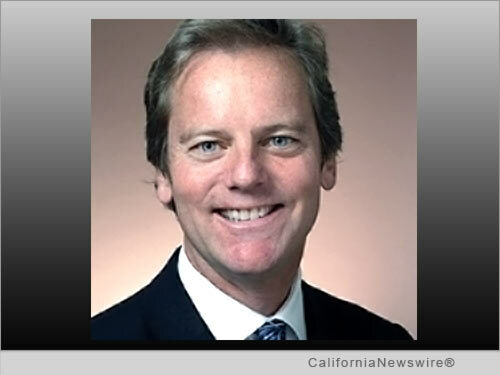 SAN FRANCISCO, Calif. /California Newswire/ — Edgewood Partners Insurance Center (EPIC), a retail property, casualty insurance brokerage and employee benefits consultant, today announced the appointment of insurance industry veteran Peter Garvey as Chief Operating Officer (COO), a newly created position reporting to CEO John Hahn. Bringing EPIC nearly 35 years of insurance brokerage strategic operations, mergers & acquisitions, and executive leadership experience, Garvey will be chartered with further accelerating EPIC's growth momentum as the company executes on its strategy to become one of the country's largest insurance brokers and consultants. "Pete has challenged conventional wisdom his entire career and more often than not, he's been right," said John Hahn, CEO of EPIC. "He is exactly the kind of free thinking 'what if' strategist and leader we value. EPIC is not about building a 'me too' business model and Pete can help to further drive creativity, innovation and growth for the benefit of our clients." As one of the nation's fastest growing private insurance brokerage firms, EPIC has been on an aggressive growth trajectory, transforming the company into a national brokerage comprised of like-minded firms with specialized expertise; successfully competing against the large, institutional brokers with an entrepreneurial, client-focused business model. Since The Carlyle Group became the firm's major investment partner in December 2013, EPIC has completed four strategic acquisitions/purchases, adding nearly 250 employees in nine new locations and nearly doubling revenues from roughly $80 million to run rate revenues of almost $160 million. "I have long been an admirer of the way John and his team have gone about building EPIC," said Garvey. "Their 'clients and employees first' mandate and other core values all resonate strongly as deeply held beliefs of my own. I am excited to have this opportunity to build on what we have in common and to help realize the EPIC vision of excellence, celebration and success as we further expand across the country." As COO, Garvey will be responsible for driving EPIC's regional growth strategies, particularly in the Northeast, and joining EPIC's Executive Leadership Team in the ongoing execution of the EPIC 2.0 national expansion strategy. Garvey will also become a member of EPIC's Operating Committee. Prior to joining EPIC, Garvey was CEO of Integro Insurance Brokers, the company he founded in 2005 following a 25 year career with Marsh, where he was most recently Co-President of Marsh, Inc. and CEO of Marsh North America. Garvey attended the University of Rhode Island in Kingston, RI, where he earned a Bachelor of Science Degree in Finance. In addition, he attended the Stanford University Graduate School of Business – Executive Education Program. Garvey will be based in New York.415-356-3937 direct. Since its founding in 2007 EPIC has driven revenue from $5 million to $150 million through both organic growth and strategic acquisitions, and remains a fixture on the insurance industry's "Best Places to Work" lists. Its strategic partners include private equity firms The Carlyle Group and Stone Point Capital.